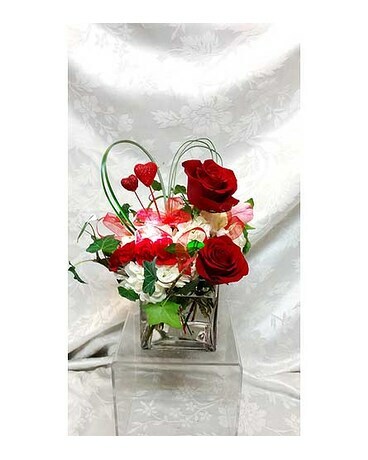 Red and white mixed arrangement with red roses in a square vase. Red foam hearts are added to increase interest. (Similar flowers and vases will be used to substitute if not available).